All lectures, workshops and courses held at the Institute of Energy Wellness Studies unless otherwise stated. This certification program has been extended from four to five days. Practice Demos are conducted on AN EXTENDED 4th day. RAINDROP TECHNIQUE® is a procedure of applying a sequence of organic and therapeutic grade essential oils that delivers nutrients to the feet, back and spine. The oils are dispensed like little drops of rain from about six inches above the back and massaged along the vertebrae and back muscles. Raindrop is a combination of various aspects of conventional massage, adaptations of Oriental acupressure and reflexology (Vita Flex), Native American healing techniques and Aromatic Sciences using the potent line of Young Living therapeutic grade essential oils. RAINDROP TECHNIQUE® can bring relief to chronic pain sufferers; facilitate tissue cleaning; facilitate releases; assist the body in strength, energy and relaxation, helps to nurture the spine. This program enables one to legally practice Raindrop throughout Canada and many States in the U.S. Students will receive training in Professional Ethics and Practices, Client and Aromatic Sciences Consulting and Client Informed Consent so as to practice legally and professionally. Please note: CRTP certification is available to all Young Living members regardless of up line affiliation. RECOMMENDED FOR MASSAGE THERAPISTS, PHYSIOTHERAPISTS, CHIROPRACTORS, NUTRITIONISTS AND OTHER PROFESSIONAL BODY WORK OR ENERGY MEDICINE SPECIALISTS. It is ideal to have Human Anatomy and Physiology as a prerequisite to these courses; but not absolutely essential. If you do have this study, then you will be able to more clearly understand the connectivity between the oils and the body. THE GENERAL PUBLIC ARE WELCOME TO APPLY THROUGH THE ACCEPTANCE INTERVIEW. Touch for Health system is the basics in muscle testing .... & Energy Healing techniques that everyone and every family should know about! Touch for Health™ is a system of balancing posture, attitude and life energy to relieve stress, aches and pains, feel and function better, be more effective, clarify and achieve your goals and enjoy your life! The concept of "muscle testing" in a Touch for Health™ session, becomes a very effective and versatile tool for detecting and correcting various imbalances in the body which may relate to stress, nutrition, learning problems and injuries. This is the first time ever that this program is offered as a recognized course of study. NEURO-AURICULAR TECHNIQUE (NAT) will further the student to use more advanced techniques in the use of essential oil therapies. It is best to have Raindrop Technique as a prerequisite. The purpose of the Neuro-Auricular Technique (NAT) is to jump-start and reconnect all of the synapses of the brain and upper spine, particularly in the locus ceruleus and vagal ganglia. The technique is applied along the occipital ridge, particularly focusing on the medullar area (center depression at base of skull) and along each vertebra of the cervical spine (the 7 vertebrae between the skull and shoulders that comprise the neck) by applying specific oils with an acu-pointer. NAT as another potent emotional clearing modality. We take pleasure to announce the BioGeometry Foundation Training in Brampton, ON with Ms Doreya Karim! The 3 Level BioGeometry Foundation Training is a pre-requisite for the BioGeometry Advanced Training and Home Practitioner Licensing Track. This training will be following by the Advanced BioGeometry Foundation Training to be announced. Referred to as Nature's own design language, BioGeometry uses the unique energy quality found at the center of all energetic systems to achieve harmony on all levels of human and environmental energy quality. BioGeometry revives Ancient Wisdom through a modern alchemy of shape and energy. Today, medicine and most forms of Holistic Medicine are based on a paradigm that either activates or sedates the energy system, without truly achieving a harmonious balance. Founded by Egyptian architect and scientist, Dr. Ibrahim Karim, BioGeometry's breakthrough research identified the specific energy codes that are found naturally in power spots on the earth. The natural function of this energy effect is to provide balance, or “centering,” to the different energy-qualities or effects within any living system. By replicating and amplifying this energy quality, you will in essence, create an anchor that will hold all the energy qualities around it in perfect harmony. BioGeometry takes us beyond our quantitative worldview, reviving the qualitative worldview of the Ancients. Is it possible that the concepts behind Ancient knowledge can come alive in a modern science, to help solve the negative effects being faced from technology today? In the Foundation training, we will not only explore this question, but also actually apply these principles to daily life for an effect. One of the main tenants of BioGeometry is that subtle energy can be used for practical purposes. In the foundation training you will learn to measure and work with all the different variables, which affect energy systems, including shape, motion, sound, and colour, moving from the micro to the macro levels of the inner and outer environment. You will learn the laws of how subtle energy works, which are universal across all fields. Today, BioGeometry energy-quality balancing solutions are being applied to architecture, telecom networks, industrial design, and vehicles to transmute the effects of environmental energy disturbances from sources such as electromagnetic radiation, structural design, and earth-energy radiation. BioGeometry is also being applied in agriculture and animal farming to increase productivity while reducing the use of controversial chemicals and artificial treatments. The 3 level BioGeometry Foundation Training includes the first 3 levels of the BioGeometryPersonal Development Curriculum and is a pre-requisite for the BioGeometry Advanced Training and Home Practitioner Licensing Track. 1. Detect, create, and amplify beneficial energies. 2. 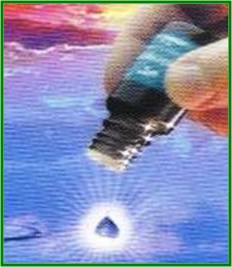 Detect and harmonize harmful energies, including those from electromagnetic fields, chemicals, geopathic stress, and food and drink. 3. Unlock and understand nature’s own design language at the archetypal level of the universe. 4. Practically apply the Ancient worldview of a qualitative universe in a modern science to solve problems faced in our daily life. 5. Learn the universal laws of energy that can be applied to any field from medicine, to agriculture, to design. 6. 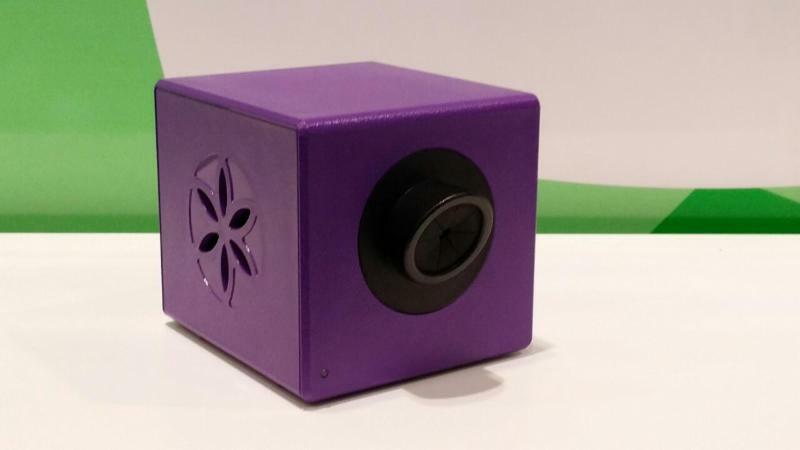 Tune into your own personal wavelength to be able to measure the resonant effects of any object or energy system on yourself. 7. 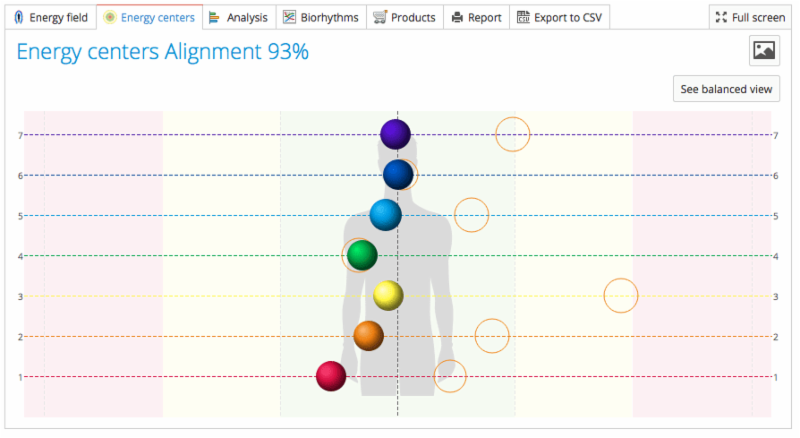 Measure and balance the energy pathways of the body’s organs using BioSignatures. Horizontal and Vertical Pendulum Set, BG16 Pendulum and Neutral Pendulum. Doreya Karim manages the BioGeometry company in Canada, where she heads animal farming and agriculture contracts and is a part of the BioGeometry reseach team focusing on the applications of BioGeometry in electro-smog, music and design, as well as research and development of BioGeometry products which aim to reduce all forms of environmental stress on biological systems. In 2003, Doreya was awarded a certifcate of merit from the Swiss government for her participation in the Electrosmog balancing solution in Hemberg and Hirschberg. Doreya is a Building Biology Practitioner with degrees in both Phychology and Graphic Design. Dr. Sabina DeVita, a long-time user, instructor and co-developer. Find out your "Energy of Wellness"
Almost two thousand years ago, a small circle of people were advised: "Whoever does not know Self - does not know anything, but whoever knows Self, already has acquired the knowledge about the Depth of the Universe." That what ails us lies in our energy field, known as the aura, long before it manifests in the physical body? That the energy field reflects the state of our consciousness on different levels - it's a 'mirror' of what we are carrying subconsciously? A Better Wellness Lifestyle Utilizing Essential Oils! 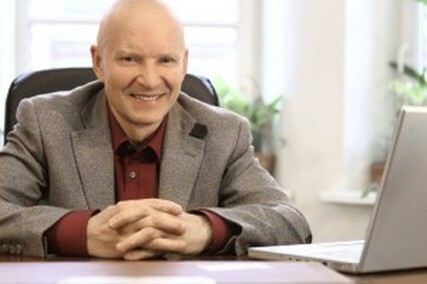 Dr. Korotkov is a Professor of Physics at St. Petersburg Federal Research University of Informational Technologies, Mechanics and Optics in Saint Petersburg, Russia. He is an inventor, a leading scientist, physicist internationally renowned for his pioneering research on the human energy field. Professor Korotkov developed the Gas Discharge Visualization technique, based on the Kirlian effect in 1995. He is an author of many books on the topic of energy fields and spirit and consciousness - his publications are sold on amazon.ca. "I am thrilled with our partnership with Dr. Konstantin Korotkov and the opportunity to work with him to develop such a wonderful tool for mankind. I look forward to hearing of your successes, which I know will be very rewarding to all of us". 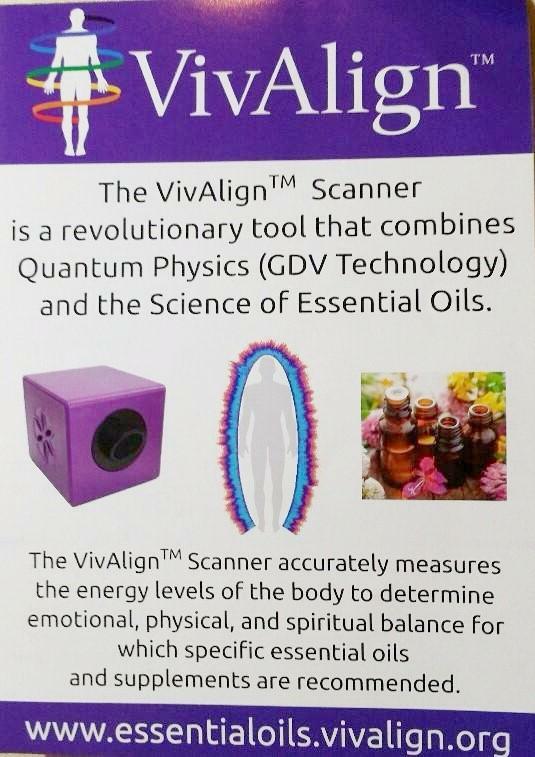 Using the powerful technology of Gas Discharge Visualization technique, VivAlign illustrates the state of a person's energy field. When a scan is taken, high intensity electrical field stimulates emission of photons and electrons from human skin; powerful imaging technology captures photon emissions given off by each finger. The images are then mapped to different organs and systems of the body, tapping into Chinese energy meridians. The images created using the VivAlign system are based on the ideas of Traditional Chinese Medicine . This concept was first proposed by Dr. Reinhold Voll in Germany, later further developed by Dr. Peter Mandel, and then clinically verified and corrected through 18 years of clinical research by a team led by Dr. Konstantin Korotkov in St. Petersburg Russia. "The GDV Technology™ is a simple, but complex system that can photograph energy fields emitted from off the body's surface. The challenge has been in interpreting the data from these photographs and knowing what it all means. It is very similar to the GC/MS that identifies the molecules of essential oils with their structure, frequency, and percentages of components. Cells in the human body generate an electromagnetic energy field that can be measured and recorded. By measuring the fields photographed by the VivAlign™ scanner, this device and the corresponding software suggests a dietary supplement regime capable of supporting the body's energy systems and functions." Every one of us is an energy being. In fact we are all beings of light. Your Biofield is a complex living structure and the energy of that structure is sometimes referred to as Quantum Energy. What is quite revolutionary is the ability to actually observe the influence of the subconscious patterns on the human energy bio-field. The advanced technology developed by Dr. Korotkov, who has now designed the exclusive YL Vivalign scanner, allows us to visually see this biofield. More significantly, are the suggested essential oils in the program to support the energy systems. Registration is required prior to the workshop. Dr. DeVita has been involved in Body/Mind and Spirit transformational, holistic, eclectic and energy therapies for the past 25 years. Her background incorporates many modalities: energy psychotherapist, registered nutritionist, certified in Specialized Kinesiology, certified Touch For Health instructor of over 25 years, Brain Gym® facilitator, Three In One and Thought Field Therapy (Energy Psychology) plus other kinesiology's with Bio-Geometry training. She has over 850 hours or more of training as an integrated aromatic consultant, using the world's best known highest grade Young Living Essential Oils. She was certified by D. Gary Young as a Raindrop Instructor in 2007. She is a humanitarian, environmentalist and author of several books, (latest 2016 release "Saving Face" 3rd edition) including her internationally recognized book: "Vibrational Cleaning" book 1 and 2, leading to her recent 2016 recognition by the Royal Order of the Royal Palace of Puri Agung Singaraja Bali, honored and conferred with the title as "Peace Ambassador". She was a pioneer in her doctoral research in the field of psychology at the University of Toronto on "Brain Allergies", an environmental, 20th century disorder. She has incorporated the latest scientific Electro-Photonic Imaging camera by Dr. Korotkov into her practice, research and teachings for over 16 years. She's been researching the efficacy of psychological/emotional transformations with the use of essential oils as seen with the energy field camera which has led to assisting in the development of the present technology named, "VivAlign". First time that Raindrop is being offered in Kingston! or other weak immune-system based ailments? and strengthen their immune system. RAINDROP TECHNIQUE® is a procedure of applying a sequence of bio-dynamic, highest grade essential oils that delivers nutrients to the feet, back and spine. The oils are dispensed like little drops of rain from about six inches above the back and massaged along the vertebrae and back muscles. Raindrop is a combination of various aspects of conventional massage techniques, adaptations of Oriental/Tibetan acupressure and reflexology (Vita Flex), Native American healing techniques and Aromatic Sciences using the potent line of Young Living therapeutic-grade essential oils. 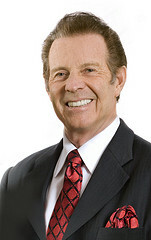 Raindrop Technique is only given with these high-grade, therapeutic essential oils in order to achieve the desired results as was discovered by D. Gary Young, the founder, developer of RAINDROP TECHNIQUE®. Uses of the Young Living therapeutic grade essential oils. Soothing for chronic pain, colds, flu and respiratory problems. Facilitates physical & emotional trauma release. Spend a valuable day in learning and receiving Raindrop. What oils to use and why? 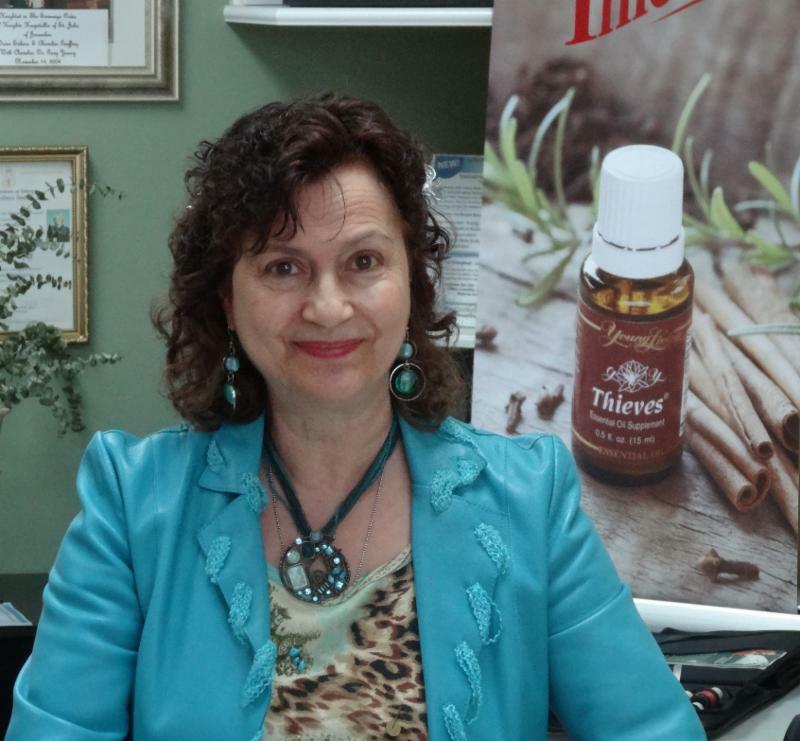 Dr. Sabina DeVita, has been involved in Body/Mind and Spirit transformational, holistic, eclectic and energy therapies for the past 25 years. Her background incorporates many modalities: energy psychotherapist, registered nutritionist, certified in Specialized Kinesiology, certified Touch For Health instructor of over 25 years, Brain Gym® facilitator, Three In One and Thought Field Therapy (Energy Psychology) plus other kinesiology's with Bio-Geometry training. She has over 850 hours or more of training as an integrated aromatic consultant, using the world's best known highest grade Young Living Essential Oils. She was certified by D. Gary Young as a Raindrop Instructor in 2007. Time: 10 a.m. - 6:00 p.m. Participants are required to bring their own sheet, towel, lunch and Raindrop Kit. Please Prepay and Register early!